Pull & Bear is an inexpensive men's & women's clothing store — primarily featuring trendy casual wear. ShopSleuth found 115 men's & women's clothing stores similar to Pull & Bear, out of our database of 45,744 total stores. The following stores offer the closest match to Pull & Bear based on our proprietary matching algorithm. Submit your vote below to help us refine our Similarity Scores and rank the stores and brands most like Pull & Bear! Jac Vanek is a casual sportswear brand that sells clothing and accessories for men and women. Jac Vanek is known for its collection of graphic prints and inspired by the designer's love for music. Lnl Clothing is an LA based retailer that sells affordable, trendy clothing for juniors, plus size women, men, and children. Lnl Clothing is known for its selection of over 50 clothing brands. New Look is a leading fashion retailer that offers apparel for men and women. New Look offers modern, on-trend apparel in a wide range of sizes and styles. Out Of Print Clothing is a fashion retailer for the book lover. Out Of Print Clothing offers book cover tees, tote bags, phone accessories, greeting cards and more. Spikes & Seams is a women's clothing brand that sells unique garments with an original, grungy sense of style. Spikes & Seams is known for its large assortment of embellished shorts. Stheart is a Detroit based brand that sells casual clothing and accessories for men and women. Stheart is known for its wearable looks and bold graphic prints that blend art with fashion. TokiDoki is a Los Angeles based apparel retailer. 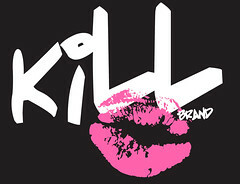 TokiDoki offers an innovative collection of apparel, cosmetics, handbags, accessories and more. Pull & Bear is a retailer that offers men's, women's and kids footwear. Pull & Bear footwear is casual, comfortable and for the adventurer who is engaged with the environment.